Alfa Romeo plans sporty upmarket range | What Car? Alfa Romeo is on the brink of announcing a major new car offensive, Fiat CEO Sergio Marchionne has revealed to What Car?. 'The Alfa story is ready to be written again' he said. Marchionne also admitted that previous offerings such as the 159 saloon, Brera Coupe and Spider were not in keeping with the brand. 'We could not have done a worse job', he said. Future models will be lighter, sportier and more upmarket. 'Alfa needs to go back to its roots, it needs to have the best sports car in its class,' said Marchionne. Forthcoming Alfa models will include a replacement for the 159, which will rival the Audi A4 and BMW 3 Series, and be built with Fiat/Chrysler Group components. The company has also recently revealed that it is developing a new rear-wheel-drive Spider using a platform shared with the next Mazda MX-5 that's due in 2015. The Alfa sportscar will be built and engineered in Japan, but it will have a unique body, design and engines. It will also be pricier than the Mazda. 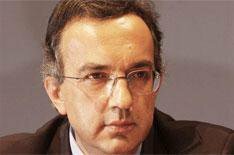 Marchionne also announced that Alfa and sister company Maserati's engine strategy will be revealed within two months. He also hinted that engine experts at Ferrari would be helping to develop engines for its two fellow Fiat-owned brands. He also confirmed that Maserati was forging ahead with its own new models, and that an all-new Quattroporte is to be revealed at the Detroit motor show in January. Maserati is also expected to show a smaller saloon, called Ghibli, next year, with an on-sale date in 2014. A luxury SUV called Levante and based on last year's Kubang concept car, will also go on sale around the same time.